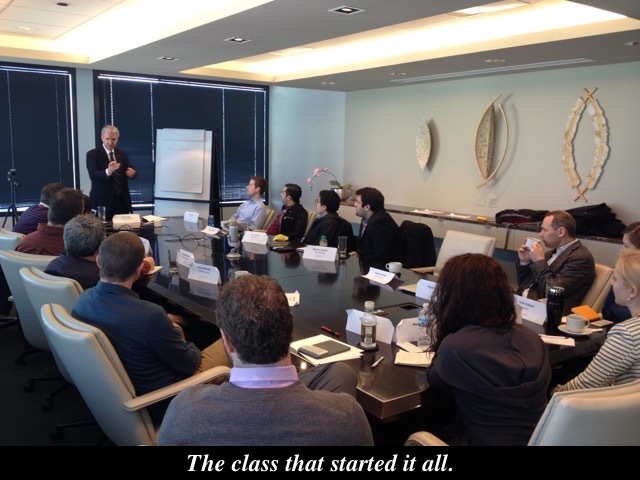 Our first cohort of five companies in 2013 was an experiment. Like most new ventures, we had a bunch of hypotheses, tested them, and learned what worked and what didn't. We believed we knew what we were doing but didn't know what to expect. Fortunately, we built feedback loops into the program so that we could adapt and refine our "product" for the next batch of five companies that made up JuntoII in 2014. That program started with our class on Hiring, Managing, and Firing. About a half hour after it ended, one of the companies actually fired a couple of their employees. They had been wanting to for a while but didn't know how to do it, what language to use, or how to summon the courage to do so. The class addressed all of that for the CEO and he acted on it. 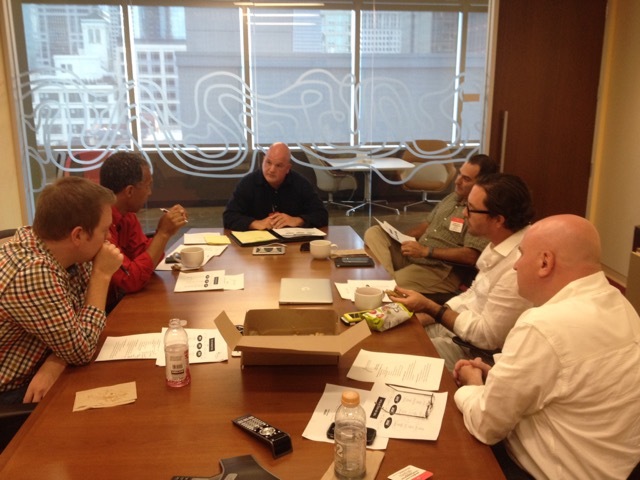 About a week later, another company had its first Mentor Team meeting. Despite a set agenda, the mentors' questions took the discussion in a different direction, challenging the CEO on how well the company really knew its customers if they never had face-to-face conversations with them. In hindsight, we can now say that each company in that cohort had similar experiences. But it didn't stop there. It happened again last year with the four companies in JuntoIII, and took place again this year with all eight companies in JuntoIV. This time, in the middle of it, we realized what was happening. What we noticed was that during the first 100 days of Junto, every company has some of the hardest conversations they've ever had and makes some of the hardest decisions they've ever made. Our experience is that the program forces discussions on topics that most growth-stage startups have never had in a structured, organized manner. Indeed, virtually every topic is something the founders have thought about, talked about informally, and perhaps even sought out advice for. But because their peers and mentors have no vested interest in the founders' company, they can be candid and pure with their thoughts, questions, and shared experiences. This sometimes creates an uncomfortable or awkward feeling for at least one of the leaders. However, since everyone knows that the purpose is to do what's right for the company, that discomfort yields to an open mind and, often times, appreciation. One example of a hard conversation that has occurred many times is that of leadership and founder issues. The forum, mentor meetings, and tutoring sessions all provide platforms for these issues to come to the surface, whether it's for one person in confidentiality or multiple people in a controlled, facilitated discussion. These conversations often open the door to having even tougher discussions about the future of the leaders and/or the company. Other times, deep-seated issues have finally surfaced, enabling the leadership team to talk openly about them and make forward progress. Another example of a hard conversation is when the leadership team is asked to discuss the company's financials. This happens periodically in the Mentor Team meetings, in which the seasoned entrepreneurs and executives will question, poke, and prod the leadership team on their numbers so the Mentors can better understand and help the company. Ultimately, one of them will politely call out the fact that the leaders may not have a handle on the financials, which often results in begrudging agreement and knowing smiles. The main point here is that during the first few months of the program, these founders and leaders are learning, discussing, presenting, and hearing things they never have before. Just the mere act of being in a room with other people - peers or experienced professionals - has their brains going places that have never been visited. And as hard as these conversations may be in the moment, we have never heard from one company in Junto that they were disappointed, frustrated, or upset. In fact, it's always been the opposite. They appreciate having the ability to have these conversations and acknowledge that they help mitigate the "lonely at the top" syndrome that often plagues startup founders. As a result of having hard conversations, virtually every company begins to make hard decisions. The firing story I opened with is an example. That company was in a classroom setting but was not just listening to the instructor share experiences of firing dozens of people in his entrepreneurial career. 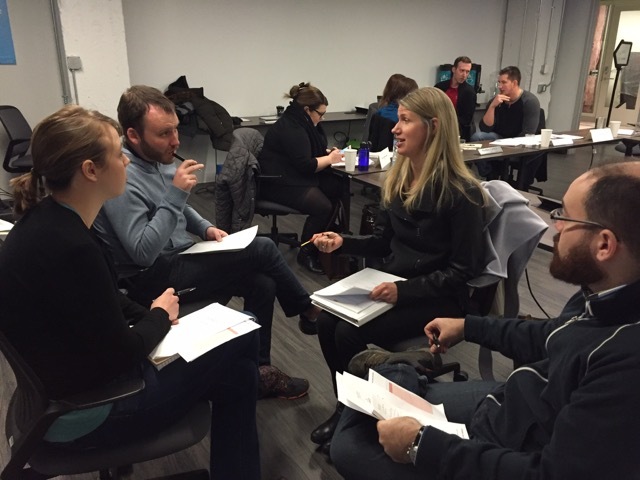 The instructor stimulated discussion within each company's leadership team, forcing the conversations to happen. Inevitably, when such conversations occur, smart entrepreneurs will ask, "What are we going to do about this?" That's where the hard decisions occur. Whether it's firing people (multiple occurrences), having a co-founder leave the company (again, multiple occurrences), replacing the bookkeeper or solo CPA with an outsourced CFO, having the CEO dedicate his time to flying around the country to visit customers, or reassigning roles and responsibilities of key leaders, these companies begin acting on the conversations that they've been having. Once again, it can be a painful process but one that makes the business stronger and healthier. And the more they make hard decisions, the less difficult future decisions become. Over time, what we've witnessed is that these companies start becoming better at making and acting on decisions, leading to accelerated growth. In our view, the beauty of these decisions is that they are made by the leaders, not for them. One of the core principles of Junto is that no advice-giving is allowed. Mentors and Instructors are asked not to tell the companies what to do. Instead, they share experiences and ask questions...lots of them. This helps our Apprentices engage in critical thinking about their business, their people, and themselves rather than being told what to do. And when we as humans are able to think critically - whether it's in school, at work, or at home - we tend to make better decisions. Reflecting on and discussing the above experiences with our team enabled us to better understand what goes on in Junto during the first few months. But had we done a bit more homework, we might have seen the pattern earlier. I mentioned that we built feedback loops into our Apprenticeship program from the very beginning. One such tool we implemented in our second cohort was a weekly reflection that the Apprentices could fill out anonymously if and when they wanted. As I was thinking about the topic of this post, I went back to all those reflections and noticed that some of them squarely addressed the ideas of hard conversations and hard decisions. And because the reflections are time-stamped, I could see that they actually occurred during the first 100 days of the program. Here are some of those reflections, in the Apprentices' own words. "We have had more constructive discussions and better consensus within leadership team meetings since beginning the process and as a result of a recent change of the team." 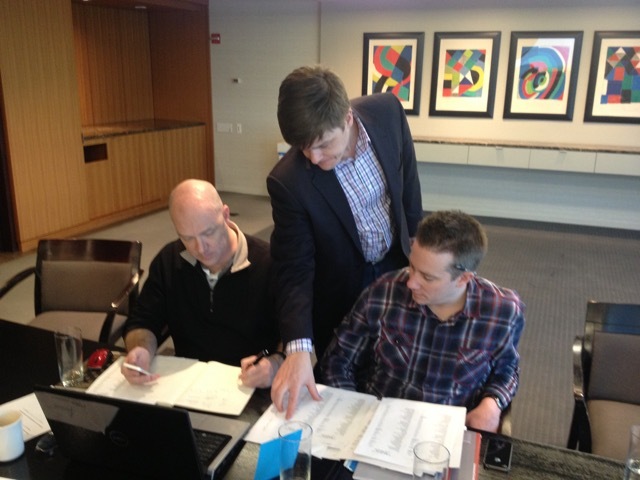 "Honesty/candidness were key to our leadership team meeting this week. I think more is to come. It's unfortunate some of these conversations have taken this long to come to light, but it's wonderful that they're happening." "We got to the bottom of a lot of issues that have been causing stress and stunting growth. Looking forward to working on them with the team." "it has enabled us to have the tough discussions and difficult decisions that we put off." Reading these was our own "hard conversation." It surprised me, but shouldn't have, that this aspect of Junto was hidden in plain sight. But thankfully, it happened, because it led me to making the not-so-hard decision to share it with you. Perhaps the best line we've heard about this topic is also from one of our Alumni: "Your quality of life is directly correlated to your willingness to have difficult conversations."